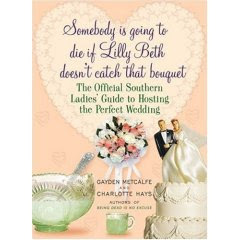 Another tip from my favorite Southern Ladies about Engagements. This probably applies more to your friends but good info to know anyway. "A girl must never be congratulated upon obtaining one. To do so is an insult to Southern womanhood. It hints that the bride has caught, rather then been caught. The proper form is to congratulate the groom and wish the bride to be happiness." So remember the next time your friend shows you her big rock, make sure to wish her all the happiness in the world and then Congratulate the groom on finding such an amazing woman.